We are a friendly local dental practice located in Southgate, London, N14 (in the London Borough of Enfield), however many patients come from far further afield than Southgate due to the popularity of our dentist and the convenient location of our surgery next to Southgate underground and bus station. We are especially conveniently situated for residents in the following neighbouring areas: Southgate London N14, Palmers Green London N13, Winchmore Hill London N21, Whetstone London N20, Finchley London N12, Barnet Herts EN5, Cockfosters EN4, Enfield EN2 and New Southgate N11. The aim of our dental practice is to provide the best dental care and dental health for you and your family. Our practice fully understands any possible apprehension you may have concerning your treatment and visit to a dentist and we are comitted to making your visit a pleasant experience. You can be confident that you will receive the best care from our dental practice in a relaxed and friendly atmosphere at our dental practice in the heart of Southgate. We are a Modern Dental Practice and our dentist uses the latest operating techniques. We make use of a diagnostic intra oral camera and illustrate your teeth and dental treatments on a television screen so that you can understand and follow your treatment more closely. We also play light music in the background which creates a relaxed atmosphere in the practice. This Dental Practice was originally set up by the dentist Dr Schwab in the late 1950's at it's current location in Southgate, London, N14 and has since then only changed hands twice. The current dentist, Dr Vaswani took over this practice in 1989 and has been the full time dentist here since. We have served many satisfied patients over the years, not just from Southgate N.14 but from all parts of Enfield, other London boroughs and Hertfordshire who have found that it is well worth that extra little bit of travelling to Southgate for receiving high quality dental treatment. If you are looking for a new dentist please have a good look at our web site, to get aquainted with our dental practice, simply click the toothbrush icons on the left to view the various areas of the site, feel free to contact us if you would like a chat with the dentist before making an appointment. 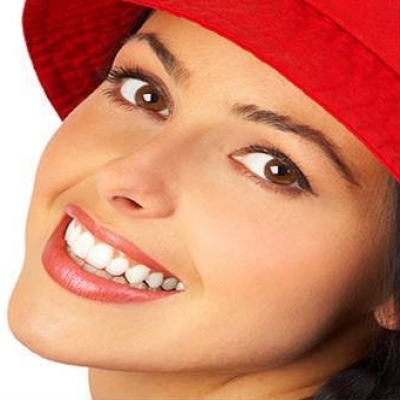 Many people are frightened of the dentist and put off going for their dental treatment. These fears are often deep seated and stem back from negative childhood experiences at the dentist, we recognise these fears and our dentist will take special measures to help you overcome any apprehension. Fear is often caused by the unknown and in order to allay these fears, our dentist will explain the proposed treatment to you in simple terms and encourage you to participate in the treatment planning process. It may be that you have not visited a dentist for a while, due to nervous previous experiences at the dentist. However we are confident that you will find your visit to our practice in Southgate, to be far more pleasant. Please feel free to ask the dentist, dental nurse or reception staff any questions you may have at any time during your dental treatment or prior to making your appointment with us. In addition to telephoning us you can ask us questions via this web site which will be answered by our dentist or reception staff as appropriate, please visit the contact us page to do this.